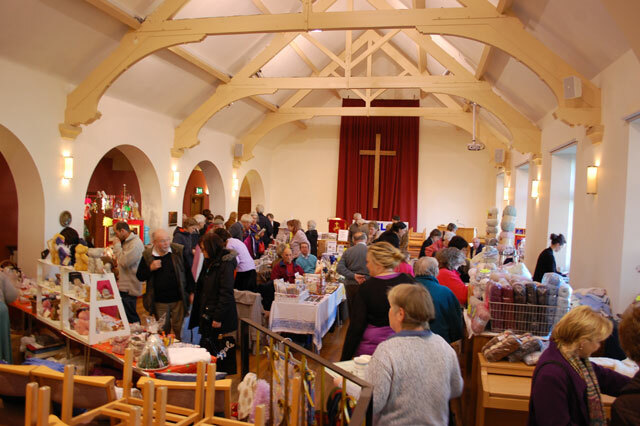 A charity Craft Fayre with over 36 stalls is taking place at Stephen Hill Methodist Church on Saturday 10 November. It runs from 10am to 4pm. Food and drink will be served including bacon butties (10-11am), lunches (12 noon-2pm) and scones (after 2.30pm). Tea and coffee will be available all day. Proceeds will go to Ryegate Annexe, Weston Park Cancer Support, W.O.R.K. Ltd and Cairn Home for the Elderly. This entry was posted in charity, christmas, churches, crosspool, events and tagged cairn home, craft fair, craft fayre, ryrgate annexe, stephen hill methodist church, w.o.r.k., weston park cancer support. Bookmark the permalink.